VK5RWN D*STAR Repeater’s FUTURE without the WIA? 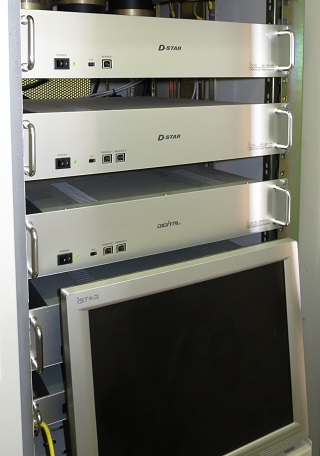 In November 2014, the AREG took over over the full maintenance and financial support the VK5RWN D-Star repeater system in Adelaide after it was originally co-sponsored by the WIA. Since then, AREG has been working to reduce the operating costs of providing this service to the Adelaide amateur radio community. Currently VK5RWN is the single largest operating cost the AREG currently has on its budget (the power bill alone is ~$600/year). Insurance, license fees, maintenance and rent nudge this figure closer to $1000/year. At this stage, the AREG committee has agreed that the club has sufficient reserves to be able to support the system until the end of June 2016, at which time the system will again be reviewed. In order to maintain it beyond this time, the AREG really needs the registered DSTAR users to offer their ongoing financial support. As such, the club is now actively seeking yearly donations or preferably more of the D*STAR user community to become members of AREG. If you are a registered user of this system then please consider joining AREG and throwing your support behind it’s continued operation. Alternatively, you can also consider making a yearly donation. What is AREG doing to try and secure the systems future? The ADSL Internet link and associated phone line have been replaced with a microwave system and donated internet bandwidth from a club member (This was the single biggest expense to running the system). These changes yielded an operating cost reduction of around $1000/year. review whether the 1273.7MHz port remains on air considering it’s very low utilization. These changes will occur over the next 6 months, and will go someway to overcoming the operational costs of the site. None the less, it will still remain the most expensive to run site on AREG’s books. This entry was posted in D*STAR by VK5GR. Bookmark the permalink.